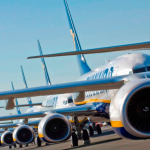 When checking in the passengers arrived from Turkey, three UK citizens came for the passport control. However, the inspector had some doubts about the authenticity of their documents. During the detailed check of the passports it was found to be forged. The foreigners in this way tried to get through Ukraine to one of EU countries. The travelers said that they paid for the fake documents about 11 thousand euro and that in fact they were the citizens of Iraq. The offenders will be returned by a back flight. They are banned to enter the territory of Ukraine for a period of 3 years. Besides, during verification of the documents of transit passengers, the border guards checked the documents of the citizen of Iran. He travelled to Tegeran by his valid passport document. However, some time later his plans had changed and he decided to try to get to Italy, taking advantage of the passport document of the French citizen. The foreigner did not consider the vigilance of the border guards, who immediately revealed the offense. The foreigner will also be refunded by a back flight. This entry was posted in Translated Media-News from Ukraine and tagged border guards, citizens, foreigner, Iraq, Turkey, Ukraine on August 14, 2018 by oksana. 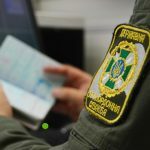 Border guards of the Separate check point “Kyiv” revealed a foreigner with the forged passport document of the citizen of another country. During check in of the passengers from the flight to Toronto the law enforcers revealed the citizen of Iraq presenting for check the passport of the citizen of Norway. In addition, in the course of further verification it was established that this document contained the signs of partial forgery, namely – the replacement of the page with constituent data. Currently, the foreigner expects for his return by a back flight. 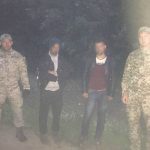 This entry was posted in Translated Media-News from Ukraine and tagged border guards, flight, foreigner, forgery, Iraq, law enforcers, return on June 30, 2018 by oksana.